By combining expert beauty knowledge with the latest advancements in medical science, our range of top of the line anti-ageing treatments in London can deliver on the promise of smoother, radiant, youthful looking skin. One of the primary causes of ageing is the gradual loss of collagen, which causes the tell-tale signs of sagging skin and the formation of wrinkles. Using specifically engineered radio frequency technology, this Pelleve treatment gently and precisely heats up the collagen bundles layered deep beneath the skin, stimulating collagen growth over time. This results in firmer, tighter, younger-looking skin. Whilst effective on its own, Pelleve works even better in conjunction with Transderm Therapy as part of a course of 6 bespoke anti-ageing treatments. Created by Beauty Works in collaboration with medical technicians and specialists, the BWL Transderm Digital DEP Treatment adds volume to your face without resorting to the use of injectable fillers. The DEP process has its origins in advancements in medical science, where it’s a clinically approved method for administering medication into a patient, without the use of injections. 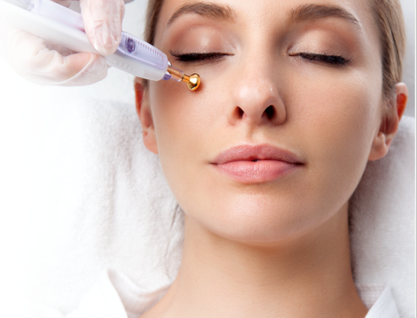 Here at Beauty Works in London, we use the same process to administer low electrical pulses that temporarily open the water channel entrance of the skin cell membrane, giving us a way to fill in the deeper layers of the skin with collagen and vitamin C.
Created by Beauty Works in conjunction with expert advice and guidance from leading medical technicians, the BWL Ultrapeel is the very height of microdermabrasion treatments. By using state of the art technologies and techniques, such as digital crystal flow, pressure and vacuum adjustments, this treatment can be tailored to specifically meet the needs of your skin. Leaving you with rejuvenated, revitalised and perfect skin. For more problematic skin types multiple treatments may be required. The BWL Transderm Therapy treatment is the very best when it comes to non-invasive solutions to fight the signs of ageing. This customised treatment combines two of our most effective single solutions, the BWL Ultrapeel II Medical Microdermabrasion, and the BWL Transderm Digital DEP Treatment, to create a bespoke solution that will leave you skin radiant, smooth, and looking years younger. The Cutera Laser is a state-of-the-art piece of technology, that we at Beauty Works use to offer a quick and comfortable solution to visible signs of ageing. It can be used to effectively reduce or eradicate; wrinkles, age spots, pigmentation, thread veins, stretch marks and sun damage. Whilst results are clearly visible after one laser treatment, we advise a course of 6 treatments to experience the full benefits of the treatment. 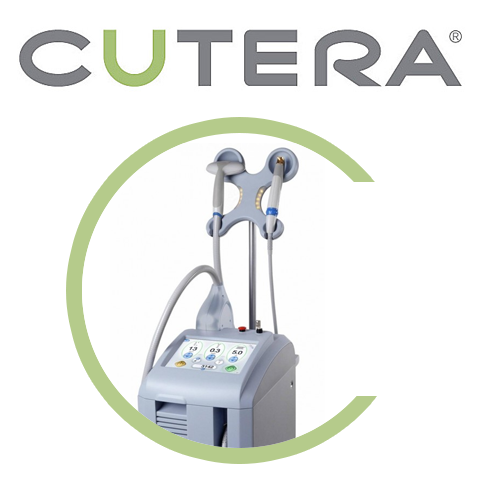 The Cutera Laser is a truly miraculous piece of technology, offering quick, painless and long-lasting solutions to a wide range of beauty, skincare, and anti-ageing issues. This revolutionary laser is one of the best medical lasers on the market today, and at Beauty Works we’re excited to be able to bring it to you, with a number of laser treatments now on offer at our Crouch End Clinic in North London. To find out more about our anti-ageing treatments in London, please get in touch.